Through the Youth-Canine Program, youth learn how to nurture, understand, communicate with, motivate and reward (vs. punish) their dogs. Many of the principles the youth learn in the program transfer to their own lives since they see the benefits they are providing their dogs. We just catch them doing something right! The personalities of the youth are matched with their dogs’ personalities, so more individualized goals can be achieved. For example, high-spirited dogs are paired with high-spirited youth who are easily distracted (e.g., learning disabilities, developmental delays), so the students learn to focus and follow-through. Even when the youth are not always able to make good choices for themselves, perhaps because of fear of failure or criticism, they will respond to the challenges presented in the training sessions in order to benefit their dogs. Shy dogs are matched with shy youth or students with low self-esteem, so they stretch their comfort zones and learn to be more confident. 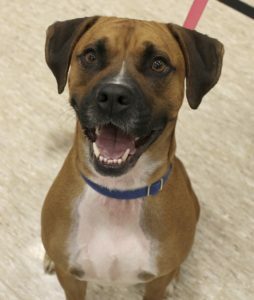 Incarcerated juvenile offenders often express a “tough exterior” to their peers and adults, but they spontaneously drop this demeanor when working with their dogs. They see how their dogs respond to the positive instruction they are providing, and affirming comments from their peers serve as an added incentive for the youth to manage their behavior and participate in the program. The youth may also serve their community during their probation, training additional shelter dogs. Group presentations and programs are available for groups of students (e.g., school programs for disability awareness, after school programs, summer camps). 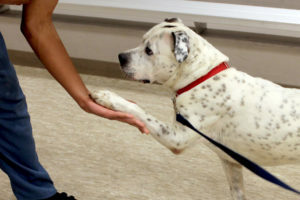 The content of these programs centers around character development, responsible pet ownership, bite prevention and positive training. All of the above programs are not just about the youth…the dogs in the shelters benefit, too. As the dogs interact with the youth in positive ways and are taught manners and skills (e.g., how to greet people and other dogs, how to wait at doorways, how to go to their mats), they are socialized to the expectations of the human world. They are thus more likely to be adopted from the shelter and to remain in a home, reducing their risk of euthanasia. This also increases the youths’ self-esteem as they see the impact of their efforts.